The one and only eyeliner I am faithful to is Lancome's Artliner, a liquid formula with a smooth felt tip applicator. 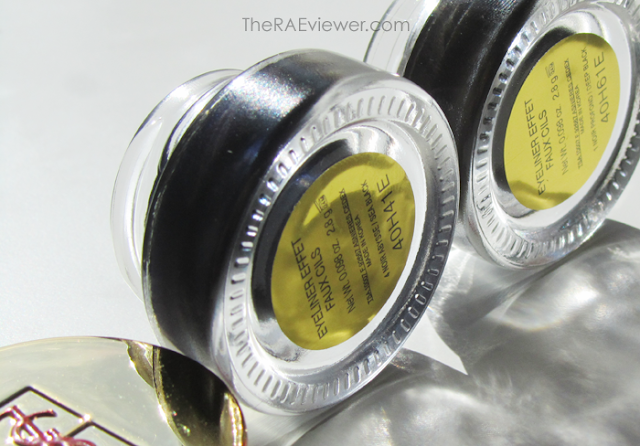 YSL's newest Effet Faux Cils cream liners, however, are officially my favorite cream eye liners. Clinique's cream liner is smooth, long-lasting, and very affordable. 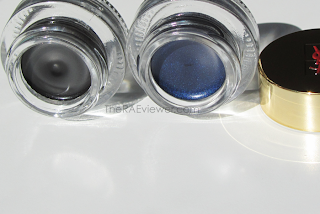 Shu Uemura's wears very well on my eyes but you must order online through their website. This new YSL formula is most similar to SU's, if case you were curious. 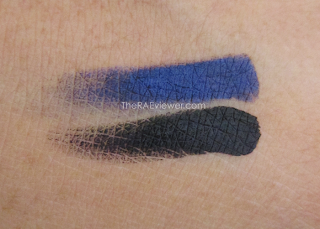 Bobbi Brown's is excellent for the lids but a little too creamy for the waterline. MAC's gel liner is also very popular and even though it's not a cream, I still consider gel and cream liners as part of the same category. I find that MAC's gel formula is a little better for oily lids, which I do not have, but the YSL Effet Faux Cils cream liner is the creme of the crop. The texture is a little more dense and incredibly pigmented. I like my black liners to be jet black! The Effet Faux Cils cream liners dry down firmly (but not uncomfortably so) and last all day on my slightly hooded eyes. For the price, however, Clinique takes the cake. These liners are clearly richly pigmented, right? The consistency of your lines will be noticeably more matte in finish. This bodes better for those with oily lids and for those who simply do not prefer glossy eyeliner. The Lancome Artliner has a very glossy finish, which I love, but it's nice to mix it up once in a while. 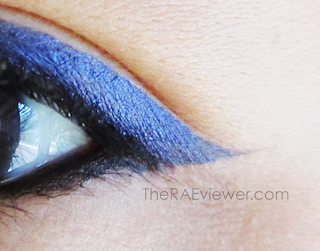 I used the black one in my YSL Holiday 2011 Tutorial so you'll be able to see it in action next week! Bottom Line: YSL did a great job with these liners and I will definitely purchase the brown one. This review contains sample products sent for consideration by PR but the post is not sponsored and opinions expressed are based strictly on my own experiences. i was wondering if i should purchase the black bronze one, i'm so glad you reviewed the formula! does it last on the tightline though? Yes, it lasts at least 5 hours - very minimal leaking at the outer corners of my eyes. That's because my eyes water easily, though! I bought the Lancôme Artliner the other day because I was looking for a long wearing and easy to apply liquid liner. Sadly though I was disappointed with how it didn't stay on my waterline. In around two hours is started to fade and by the fourth hour it disappeared :/ it was quite good on the lids though. As for gel liners I feel like Bobbi Brown and they stay on my waterline the longest. Mia - The Artliner is only intended for the lash line!! It's actually not safe to put any liquid liner on the waterline. You can push it up right against the lashes but not on the pink flesh directly cushioning the eyeball! I have monolids and it is so hard for me to find a black liner that stays and doesn't stick or smudge. Are these good for mono lids? I have tried so many different brands already, so far the only one the almost worked was the Lancome artliner, it takes too long to dry and if I want it to stay I have to put on alot of powder on top, but then it doesn't look black anymore. I have also used Hourglass Caligraphy but is too dry.I know you are a very busy person but I will really appreciate if you respond to this post. I have the black one, and after i watching this review, i guess im going to get the blue one too! it looks amazing! What brush do you use for this eyeliner ?